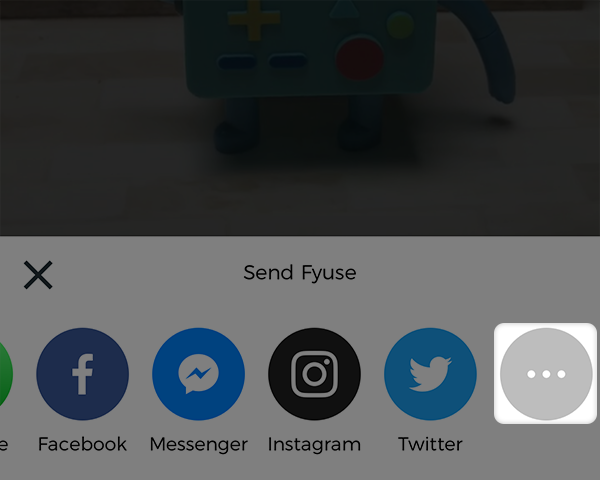 You can control what fyuse content appear in your feed by reporting fyuses or comments you feel are inappropriate. By default, Fyuse hides all reported entries. View the fyuse in full screen. Scroll to the end of the list and select the ●●● icon. Choose report from the new options that appear. Tap 'Report' to confirm and report the fyuse. If you encounter a comment you'd like to report, swipe the comment to the left tap the red flag icon. When prompted, tap Report to confirm. The comment should dissapear from the thread. If you encounter an unwanted comment on a fyuse that you've published, you have the power to simply delete the comment all together. When on a fyuse you've published, swiping a comment to the left will display a delete icon instead of a report button. Tap this icon. When prompted, tap Delete to confirm. The comment should dissapear from the thread. By default, Fyuse will hide fyuses and comments that have been reported by you and other users. You can choose whether or not you'd like to see reported entries. Tap the settings (gear) icon at the top of the screen. Under Account, toggle "Show reported entries". Toggling this setting on will allows you to see reported entries. Taggling it off will hide all reported entries.